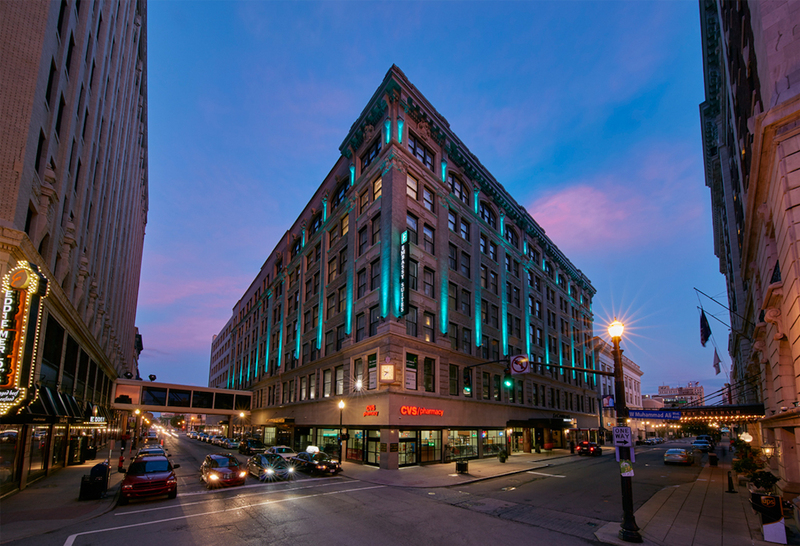 The historic former Stewart Dry Goods Department Store / Hilliard Lyons Building was renovated into the new Embassy Suites Downtown Louisville. 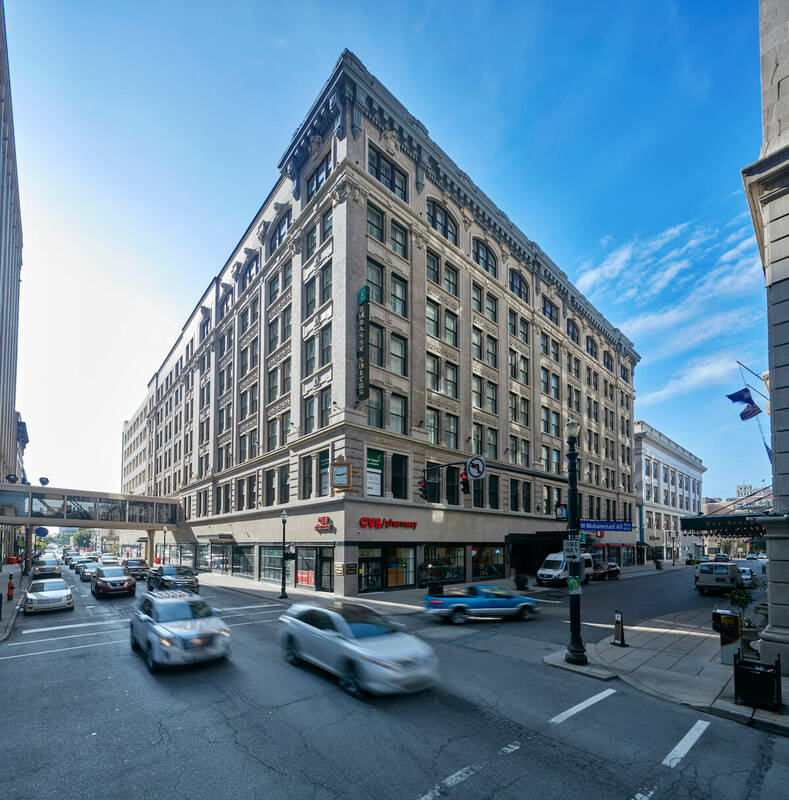 Le Centre on Fourth is a new mixed use development which includes a CVS Pharmacy, a 8,500 SF restaurant, 50,000 SF of commercial office space, and the full service downtown hotel. 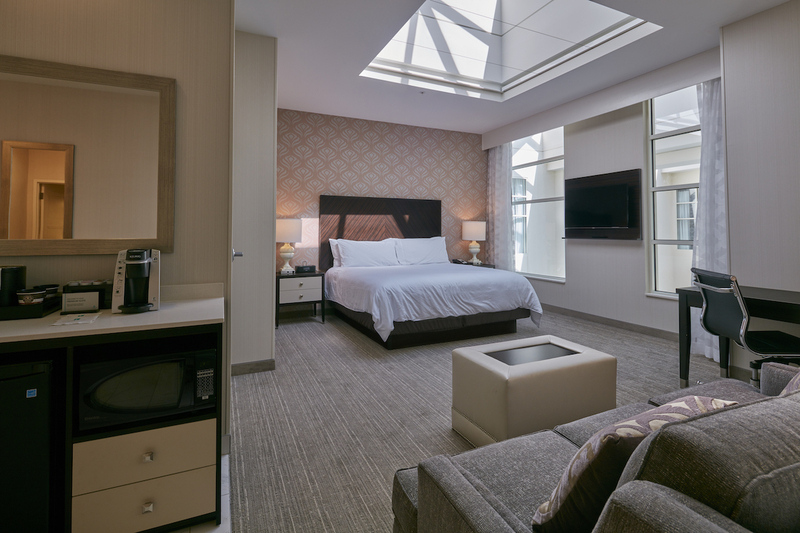 There are 304 guest rooms located on floors 3-7. 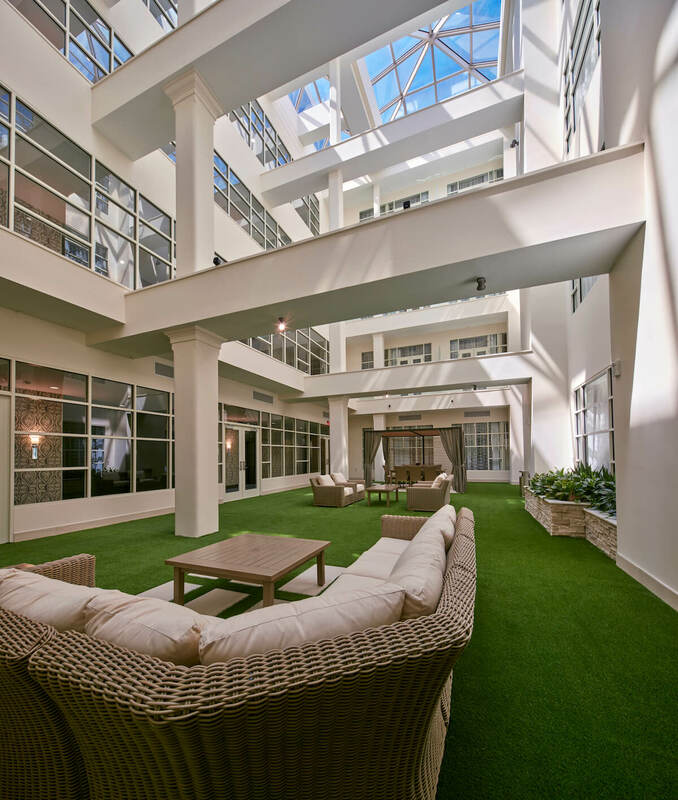 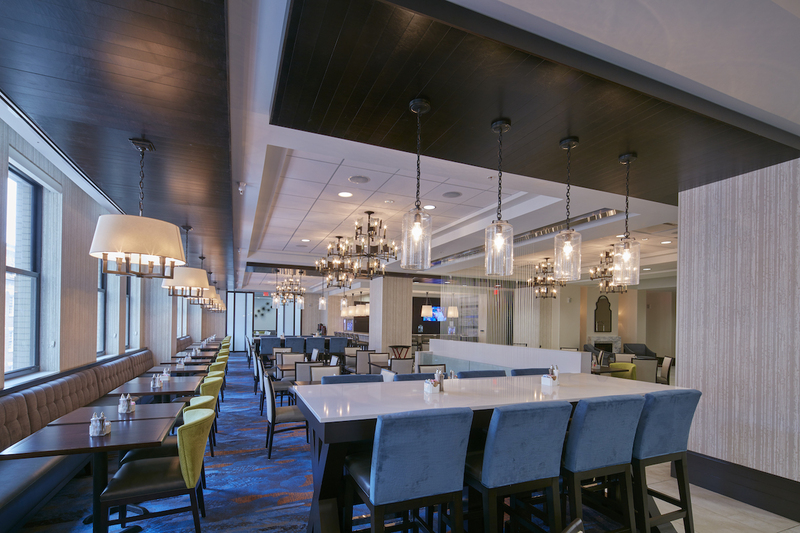 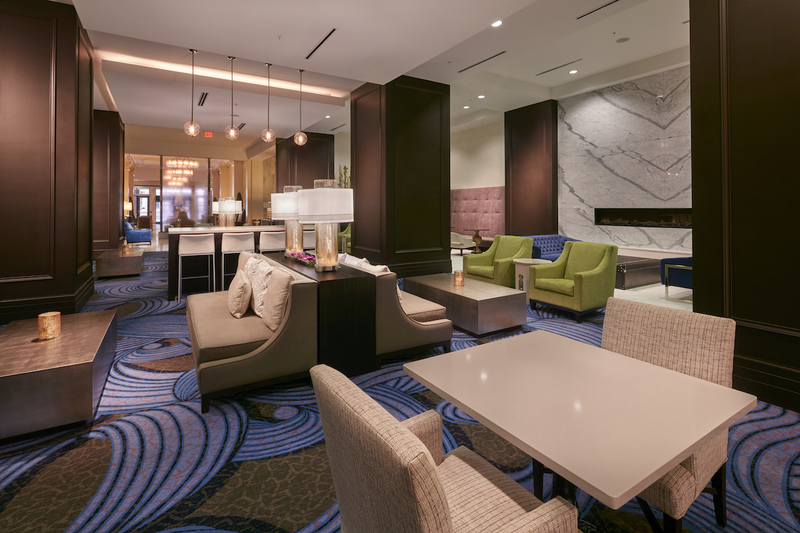 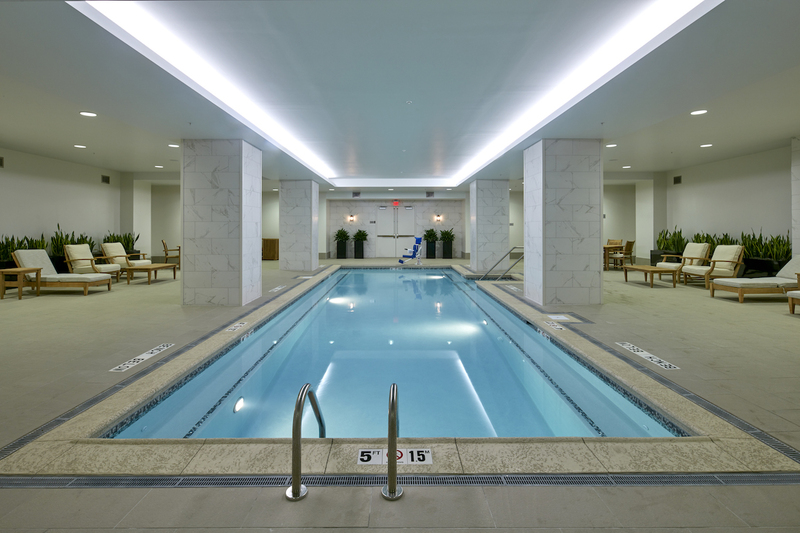 Amenities also include a variety of meeting spaces, a lower level pool, hotel dining room and bar, a commercial kitchen and banquet staging, as well as underground parking. 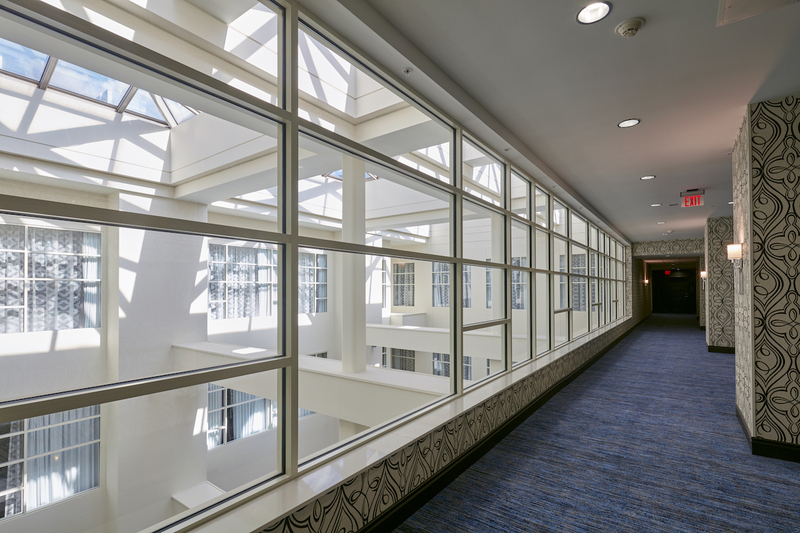 Three atriums on floors 4-7 provide an intimate gathering space for guests and allow natural light to filter into the interior guest rooms. 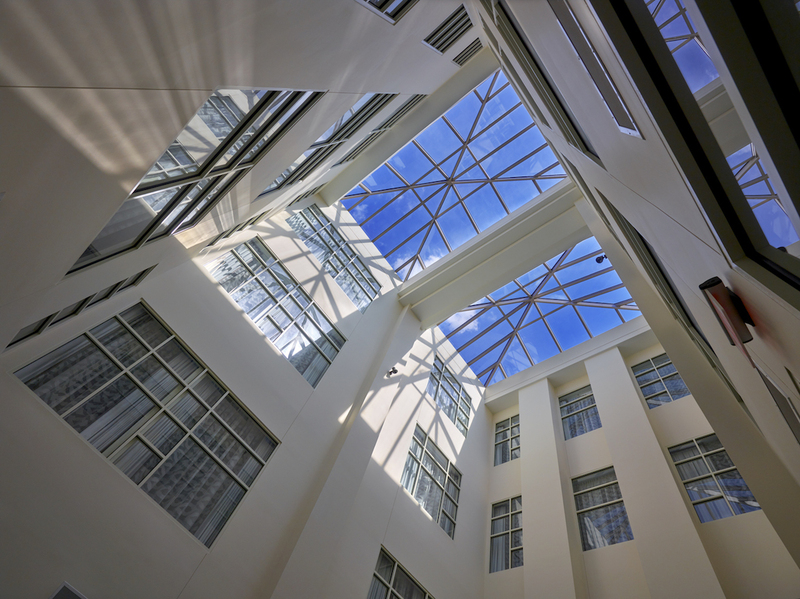 The 1907 building rehabilitation was submitted and approved by the Department of the Interior for historic tax credits. 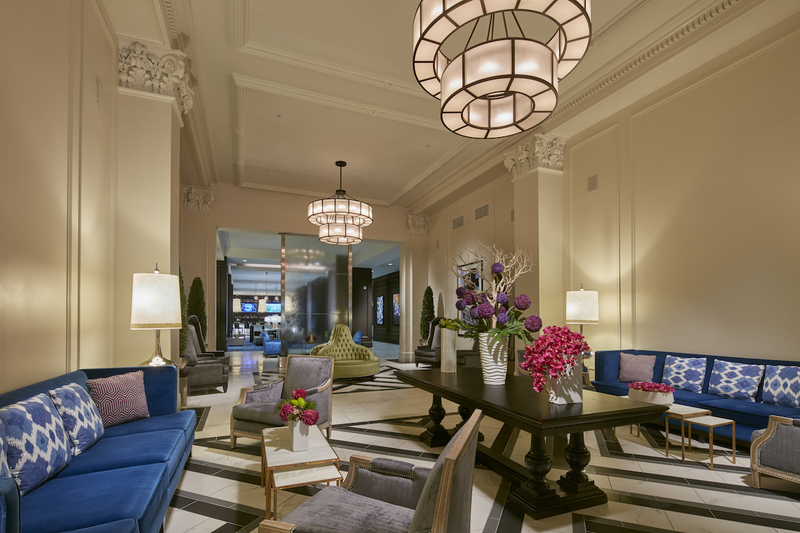 The interior spaces combine traditional and historic elements with modern décor, helping to unify the historic building with the conveniences and amenities of a modern hotel.